At UFC Philadelphia, Josh Emmett delivered an undeniable Knockout of the Year contender, flattening Michael Johnson in the third round of their featherweight contest. Surprisingly, however, his jaw-dropping knockout victory didn’t earn him a post-fight bonus. Like many fans, he’s still scratching his head about that. 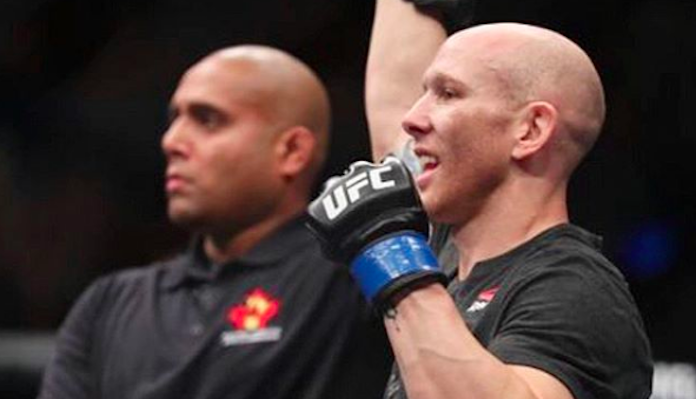 As Josh Emmett suggests, this isn’t the first time he’s delivered a bonus-worthy performance in the UFC — yet he’s still never received a post-fight award. “I don’t know what else I have to do,” he said. “I’ve never got a bonus and I feel like I can make an argument to a handful of fights that I shoulda got bonuses and I continue to get stiffed. I really don’t know how to get one, it’s pretty disappointing. I’m gonna have to choke somebody. Luckily, Josh Emmett has a phalanx of dedicated fans eager to help his cause on social media. He’s hopeful that if these fans are loud enough, UFC President Dana White might just reconsider. Do you think Josh Emmett deserved a bonus for his massive knockout win over Michael Johnson?